Engineering is the use of science, experience, and logic to solve real-world interests. Failure analysis looks at potential problems before and after they happen. Failure after the fact investigates what went wrong and resulting in an incident. Fire is often is the consequence. Failure analysis before the fact consists of research, testing, and evaluation to determine the most suitable process and procedures to accomplish a product. This considers the trade-offs between quality, economics, and time. 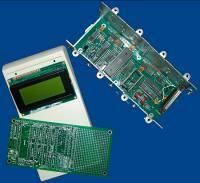 Our engineers are exceptionally qualified to address your failure analysis issues. Our clients are predominantly Fortune 100 companies, but we also have a healthy, vibrant relationship with sole proprietorships. We provide failure analysis, research, safety, and design support to the energy, legal, and insurance communities. Failure analysis is defined by NFPA 921 Guide for Fire & Explosion Investigations as "A logical, systematic examination of an item, component, assembly, or structure and its place and function within a system, conducted in order to identify and analyze the probability, causes, and consequences of potential and real failures." Fires, water damage, and injuries are frequently the result of failures in some devices or installations. Our professional are among the leaders in the industry at conducting NFPA 921 inspections into these and other causes. We have conducted thousands of investigations into various product and installation failures. We are licensed in every state of the region to conduct on-site incidents. Our laboratory is second to none in providing product analysis for insurance and legal firms across the country. Failed equipment or components can be sent to the lab for cost-effective, timely analysis by experts. This permits you to pursue projects and claims that otherwise would not be feasible. Our engineers have helped groups in development of products from power cables and oilfield equipment to hi-pressure, hi-temperature, hi-voltage, and hi-current connectors and printed circuit boards. We have established laboratory resources to provide research, testing, and evaluation of these products. We can assist you with Nationally Recognized Testing Laboratory (NRTL) certification through such organizations as CSA & ETL.